Skeleton is a lightweight CSS framework that provides a nice boilerplate to kickstart the development process. I like the minimal design approach. Plus, I can easily add more CSS on the top if required. The grid and some basic styles are more than enough to get started. Simple, easy and human friendly grid-naming conventions. Just add a div element with class ‘row’ (with child columns) inside a container and you’re good to go (12 column grid – kind of similar to bootstrap and foundation). Skeleton comes with basic styles for standard HTML elements such as Headings (h1/h2/h3 etc), basic form elements (input, buttons etc), tables and some utility classes (for left/right alignment, clearing floats etc). Here is how a simple ‘sign in’ form with Skeleton. The Skeleton along with Normalize CSS is less than 10KB when minified. So, it’s a great choice for smaller web projects, side projects, mobile websites, landing pages for your mobile apps etc. You can download the latest version from the official website : http://getskeleton.com (Current version : 2.0.4). Sass and LESS versions are also available to help you add Skeleton in your preferred development setup. Also check out my last weekend project – Mobile Number Tracker (India) – I created using Skeleton. 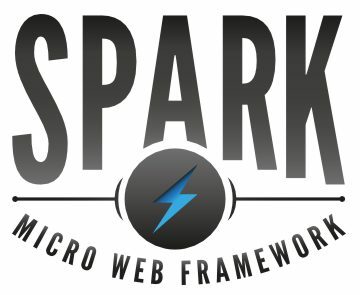 Spark is a micro web framework in Java, inspired from Sinatra (a popular lightweight web framework in Ruby). 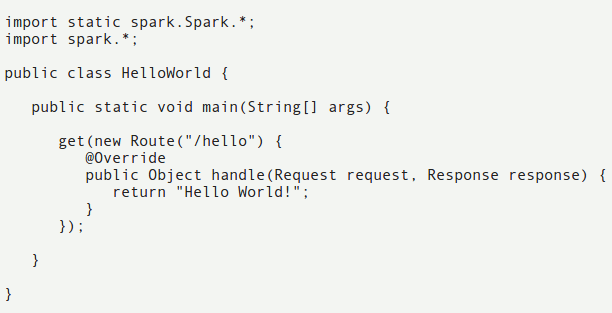 Using spark, you can quickly build web applications in Java, with minimal effort (without going through the boring xml configurations steps). If you learning java, then you can learn a lot by reading the source (since, it’s a free and open source framework). Code in image ? Ha Ha .. just to remind you that it’s not a good habit to copy/paste code! Type it. What is Play Framework ? Play Framework is a simple and powerful web development framework for Java/Scala. It’s very inspired from Ruby On Rails framework, so it’s like Rails, but for Java/Scala (initially it supported only Java, but now it also supports Scala (a programming language, very similar to Java, with some functional features, designed to be as a better Java)). Unlike other complicated java web development frameworks, Play is very simple and highly productive. Play is a lightweight, fast and highly scalable web development framework, with web friendly architecture and features (stateless, low resource consumption, reactive model based on Iteratee IO etc). So if you’re a Java/Scala developer, who want to develop cool web applications – then Play is a great choice for you. You must have Java installed (JDK 6 or later), read this tutorial on installing JDK in Ubuntu / Linux Mint if you haven’t already done that. When you’re done setting up java development kit, open a terminal and type javac to make sure everything is setup properly. Download the latest version of Play (currently, it’s v2.1.0) and extract it to your Home Directory (it can be anywhere, but you should have write permission). Now, if you type play at the terminal, you should have play command available. 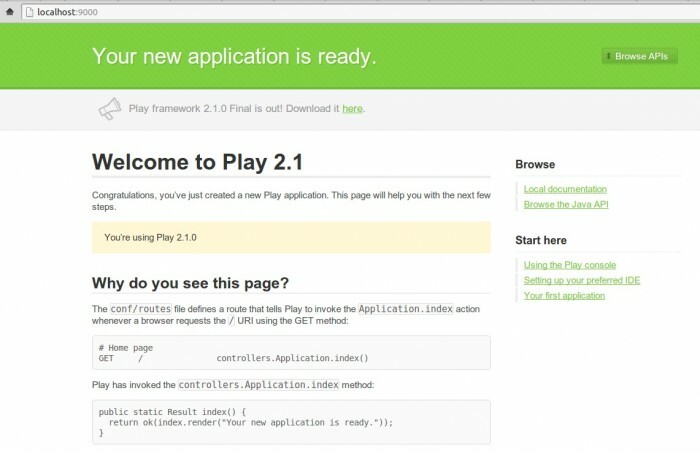 Now, you have successfully installed the play framework – Let’s create a simple application “TestApp” (it will simply say : “Hello Play”, not any useful, but you get an overview). Now, it will prompt for few questions (Application Name, Java/Scala etc), then move into the application directory and start the application. Open your browser and type the address http://localhost:9000, the default page should appear. Recommended Resources For Further learning! Use CSS Frameworks to speed up the Web design process! You know CSS but can’t get the work done on time or maybe you don’t want to write the same code(basic grids, buttons, form styles etc) again and again. Then you should try a CSS framework/toolkit as it helps in getting things done, much quickly. With a CSS framework, you can create prototypes/MVP very fast as compare to scratch work. When you get a solid foundation to begin, just with few lines of code, you can create nice looking UI for your website/apps/whatever. You can customize it further for a unique look/feel (recommended because default is not enough in most cases). Here are some of the best free and open source CSS frameworks/toolkits/grids you must give it a try. grid is enough for me! susy is an amazing grid for those who want complete control over the grid generation, mostly popular among compass/sass programmers. Susy is responsive (yeah! if you use susy your website will look cool on every devices), but you can get fixed structure if you want. If you want to try susy in rails project, then simply add gem "susy" to the Gemfile and run bundle install. Finally, add susy using the sass import. Update! If you prefer Bourbon over Compass, then you should check out Neat. Another lightweight grid, with 960px width (with 12/16 columns by default, but you can easily customize it according to your need), a very popular rapid prototyping tool for designers. It’s a very simple and super-light (that’s why it’s called 1 Kb) grid system for designers. You can easily customize the number of columns, gutter width, column width before download (default is 12 columns, 60px wide, 20px gutter width; which leads to the total width of 960px). blueprint is another popular css framework with fixed grid system and nice styles for buttons, forms, tables, tabs, sprites and more. It’s easily customizable. Foundation is an advanced and feature rich front end framework. it’s responsive, it has flexible grid system, with lots of styles for various components (like tables, buttons, tabs), icons, templates and more. So, you can rapidly create nice mockups , probably in minutes. It uses SASS, so customization is very easy, specifically for ruby/sass. Update! You should also check out some lightweight CSS frameworks such as PureCSS (recently launched) or Skeleton (mature and well tested, under 10KB). Both are responsive (mobile friendly) and provide a nice boilerplate to begin with.